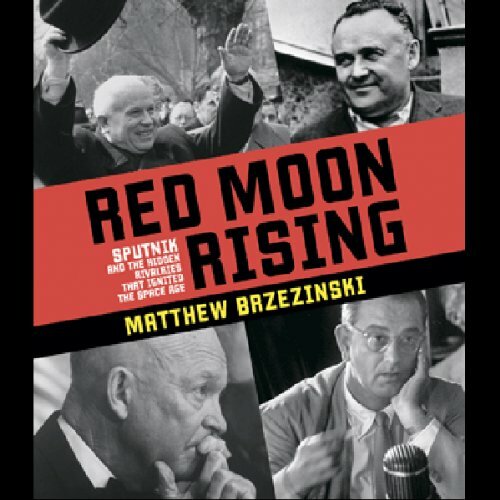 Based on extensive research in the US and newly opened archives in the former USSR, Red Moon Rising tells the story of five extraordinary months in the history of technology and the rivalry between two superpowers. It takes us inside the Kremlin and introduces the Soviet engineer Korolev, the charismatic, politically-minded visionary who motivated Khruschev to support what others dismissed as a ridiculous program. Korolev is virtually unknown to most Americans, yet it is because of him that NASA exists, that college loan programs were started in the U.S., and that Kennedy and Johnson became presidents. One of my favorites. Well read (except for the eery 1950s communist background music that is interspersed at the end/beginning of some of the chapters that comes out of nowhere). As a space race/apollo fan i woudl like to think i knew a fair bit about the milestones in this area, but this book is full of stuff you don't get anywhere else, especially the inner workings of the USSR. Well paced, and in the end, has a great summary of the impact of these decisions on the next 40 years of history. Just awesome, highly highly recommeneded. Excellent writing - so much historic facts and very objective behind the scenes information. 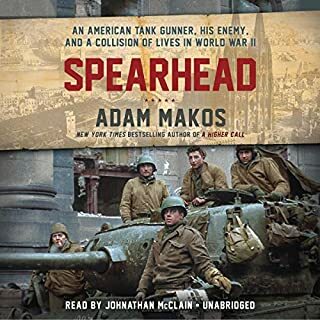 I have listened to about 25 audiobooks so far in this year and this is the one I have enjoyed the most. Charles Stransky as narrator also did a great job - his reading style and the voice makes listening joyful and I hope there will be more books coming out narrated by him. Pound for Pound…one of best histories read! 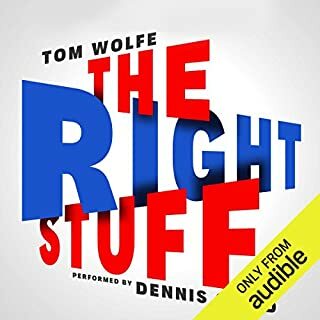 To those who remember The Right Stuff by Tom Wolfe…this book covers what was left out! !...the origins of space race and dooms day scare. Better than fiction, Brzezinski details the unseen struggle between the USSR and the US…the genius of Korolev, the surprising US treatment of Werner Von Braun. Unbelievable!! Mysteries revealed, cold war history that few will ever know. Recommended as...a MUST read...for the military history fan! As a fan of Cold War history, I thought this a wonderful exploration of the pre-glamour years of the Space Race. The book explored the deep connection between the arms race and space race to a degree that's often overlooked. Like so many accounts, this book makes me wish I had been around for this unique time in history. As has been mentioned, the interspersion of dramatic music is annoying, and I tend to wonder if the narrator correctly pronounces Sergei Korolev's name, but the book is nevertheless absolutely worth your time. I am admittedly a bit biased, being a fan of space exploration since childhood, but this is a terrific book. It thoughtfully lays out the political underpinnings on both sides of the Cold War that detoured the race for the 1st effective ICBM into a race to put the first artificial satellite in orbit. Likewise, it exposes the technical hurdles and how each group sought to overcome them. It is amazing to consider that mere years after the invention of the transistor and a little over a decade after WW2, both the U.S. and the Soviet Union were actually capable of putting an artificial satellite in orbit. I blinked in disbelief reading how after launch a technician hurredly worked a slide rule, manually calculating during flight when to press a button to start the 2nd stage of a rocket in flight. The Soviets in particular showed an amazing practicality and sang froid which allowed them to overtake the U.S. and score the historical first. There are many details which flesh out and enrich the story of the nascent U.S. and Soviet satellite efforts. 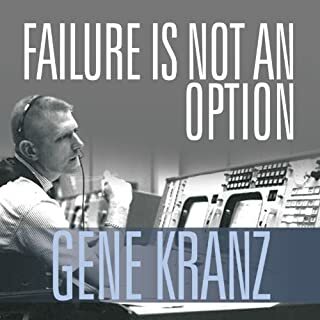 Even being familiar with the outlines of the story, I learned many fascinating and disturbing details - and Brzesinski isn't afraid to show Korolev and Von Braun's many personal and professional faults - and demons lurking in their respective pasts. His account of the struggle to all important primacy and especially the launch sequences are written grippingly. This is an excellent book and I highly recommend it not only to those interested in the space race, but those interested in U.S. and Soviet politics and history of the period. This is one of the few audiobooks I've managed to listen to "cover to cover" (twice, at that). The writing style and the narrator make this as much an engaging story as it is a history lesson. The focus is on the race to put a satellite in space and the aftermath, but the story also sets up the origins of the space race in a broader sense. 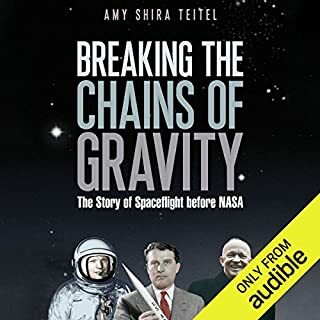 Listening to this book made me want to know more about the "characters" that drive the story; Korolev and the Russian scientists, Von Braun and his rockets, and even the political players. I'd love to see more books written in this style that cover other phases of the space race as well. On the afternoon of October 5, 1957, I was a paperboy picking up my daily issues to deliver. There on the front page was the news in a stark, black headline. The Russians had launched an earth satellite. Even a kid in small-town Connecticut could feel the shock waves and experience the excitement and wonder at this dawning of a new age. But how could they have done it before us? The extraordinary story which was NOT in the Bridgeport Post that evening is here, fully revealed, rich in detail and personality, seen from both sides of the Iron Curtain in a way I never expected to read it ever. 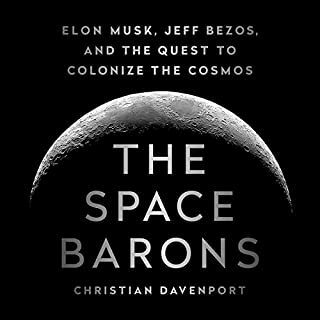 Politics, science, engineering, cutthroat struggles for leadership are all present in a very nicely balanced account which moves along with a momentum appropriate to the story of the highly charged "Space Race." That contest, of course, had very little to do with space and a great deal more to do with image, influence and the military calculus of a nuclear age still in its infancy. Brzezinski brings all of that into sharp focus. The narration is charged with energy and consequence without becoming uncomfortably overwrought. A coldly detached presentation of this material would, to some degree, fall short of putting us in touch with the spirit of the times. Tension, risk, soaring innovation and sometimes crushing failure come with emotional baggage. The twelve year-old paper boy in me is glad that that fact is tastefully reflected in this reading. A quick listen to the sample will allow you to judge for yourself, however. I was born in 1956, when several of the key events in this book took place, so I found myself feeling very connected to the story. And, like many of my generation, I was totally tuned in to the space race in the 1960's. What a different perspective to hear how it really happened. Highly recommended. Well-researched & well-written! Great book! This is a great title for space buffs (like me), for Cold war history buffs (like me, though I am a history professor so I guess I am more than a "buff") and even for World War II fans, as this story picks up at the close of that awful conflict. The writing is great-the opening scene, where the author slightly anthropomorphizes a V-2 rocket, is riveting! As a specialist in modern technological history, I have no major problems with the scholarship-but read this book because it's fun, and just learn stuff along the way! Highly recommended! Superb context behind the early space race. What made the experience of listening to Red Moon Rising the most enjoyable? 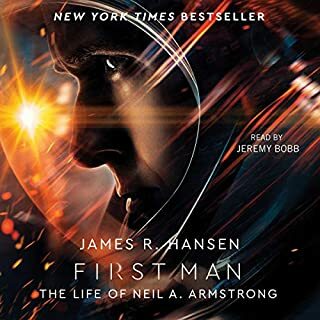 Although I bought Red Moon Rising with a particular interest in the space race, I actually found the political background more interesting with just the right amount of detail to give an exciting listen. For anyone with an interest in early cold war politics and / or the early space race, there is something here to take away but the combination of both is really well done. Out of this world, gripping to the end. An an outstanding account of the ending events of WWII to today and how the superpowers exploited German scientific advances in their (USSR and USA) name.